HONG KONG - In response to the thoughtful inaugural address by Taiwan’s new president, Tsai Ing-wen, China’s Taiwan Affairs Office had a simple rejoinder: her speech was an “incomplete test answer.” In China’s view, she must do the test over and fully meet China’s demands before she can get a passing grade. The mainland doesn’t get it. 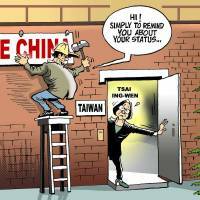 The question is not whether Tsai passes the mainland’s test; it’s whether the mainland can stop playing the bully every time it wants something, whether from Taiwan, the Philippines or Japan. What Beijing wants is for Tsai to say two words: “1992 Consensus.” Without uttering those words, Beijing is saying, Taiwan is risking its mainland trade, its diplomatic relations with third countries and greater international isolation. What’s so important about those two words? Answer: They are a fig leaf to cover up differences between the mainland and Taiwan and create the impression of an accord. For decades, beginning in the 1950s, both the mainland and Taiwan claimed to represent the one and only China, despite there being two governments as a result of a civil war. Third countries were asked to choose between them. In 1992, the two sides held a secret meeting in Hong Kong. Each side was represented by an ostensibly nongovernmental body, the Straits Exchange Foundation of Taiwan and the Association for Relations Across the Taiwan Straits of the mainland. The deadlock persisted. The mainland insisted that “China” meant the People’s Republic of China; Taiwan equally adamantly insisted that it designated the Republic of China. As a compromise, each side said that it upheld “one China” but agreed to differ on what “one China” meant. So, to the Communists, it meant the People’s Republic of China. To the Nationalists, it meant the Republic of China. That state of affairs went on for eight years. Neither side had a name to describe the stalemate. But, in 2000, a Taiwan official, Su Chi, former chairman of the Mainland Affairs Council, came up with a brilliant idea: he called the deadlock a consensus — the 1992 Consensus, in which both sides agreed on one China but differed on separate interpretations on its meaning. While the mainland focused on “one China,” Taiwan focused on “separate interpretations.” In fact, mainland officials rarely if ever even mention the second part of the consensus. However, from a historical standpoint, the term “1992 Consensus” has only been used in eight of the intervening 24 years. The rest of the time, the term either did not exist or was simply not accepted by the powers that be, either on the mainland or in Taiwan. Tsai did not put a “consensus” label on the 1992 Hong Kong talks. Instead, she recalled that “the two institutions, through communications and negotiations, arrived at various joint acknowledgements and understandings.” That description seems quite apt for what happened. It may not be as snappy as “1992 consensus,” but it is certainly not a gross misrepresentation of the 1992 talks. Beijing should resist the temptation of applying pressure on Tsai until she yields on the 1992 Consensus. That term is not the only one that signals one China. In the inaugural address, Tsai very deliberately said that her government would “conduct cross-strait affairs in accordance with the Republic of China Constitution,” which, of course, is a one-China constitution. She also cited a Taiwan law, the Act Governing Relations Between the People of Taiwan Area and the Mainland Area, which talks about Taiwan and the mainland as being parts of one country that would eventually be reunited. Her message couldn’t have been clearer. The Chinese Communist Party should realize that it is important to maintain the credibility of its interlocutor in Taiwan. 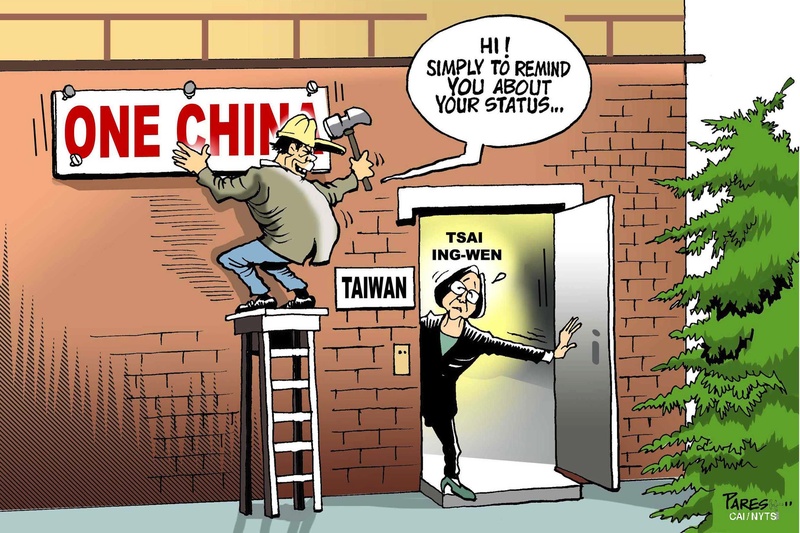 Forcing Tsai to kowtow is not good for anyone. For Tsai to be of value to Beijing in the coming years, she needs to be seen within Taiwan as a person of integrity who acts in the interests of the people of Taiwan, rather than as someone who will succumb to mainland pressure. China needs to rise above the mentality of the bully.